The best web designers know that designing is not a bed of roses. You don’t just sit around all day bringing your ideas to conception. Well, that’s the main part at least. But it is preceded by rigorous planning and conceptualizing using a graphics design brief. This brief helps you show your clients what exactly you are going to produce for them. It helps them understand your ideas and visions better than they could with only words and conversations. Especially in Arabic web design, creating a graphics brief is a must. Let’s evaluate some of the factors the graphics brief should include creating the perfect Arabic web design. Before creating its web design you should have complete knowledge about the company. It’s products, location, market, prices and most importantly their specific needs for advertising their products. Arabic website design companies in Dubai especially take care of these aspects. The teams ask for a company’s full profile or converse in depth with a representative to fully identify their needs. Another factor to keep in mind are the goals and benchmarks the company has set for itself. Its web design should contain the components to reach their goals in their perceived period of time. Supposing if the company needs to extend its market throughout the middle east. 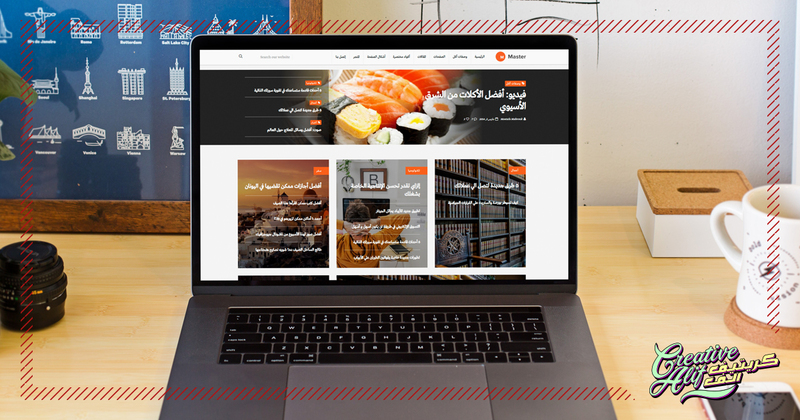 Arabic website design companies in UAE must create a diverse blend of Arabic and English on their website to help them reach out to customers all over the world. Besides that, companies also have different tastes in design according to their region, ethnicity, and culture. Therefore, Arabic web design companies provide facilities such as Arabic logo design and Arabic calligraphy, while creating a web portal for a middle eastern company. The design brief should also classify all the costs a company would undergo in the process, creation, and maintenance of their website. This, when defined, will help companies choose you over other competitors by comparing the quality of offers by the price.